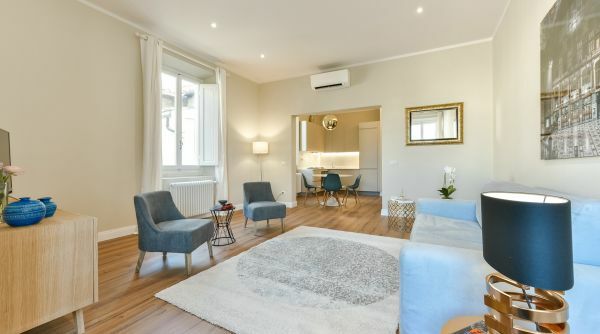 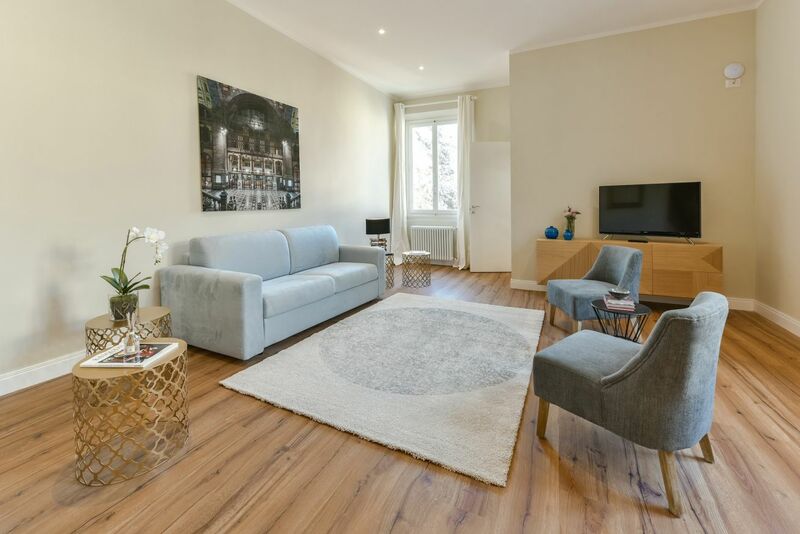 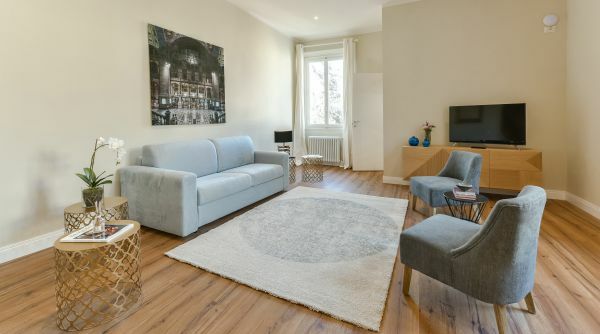 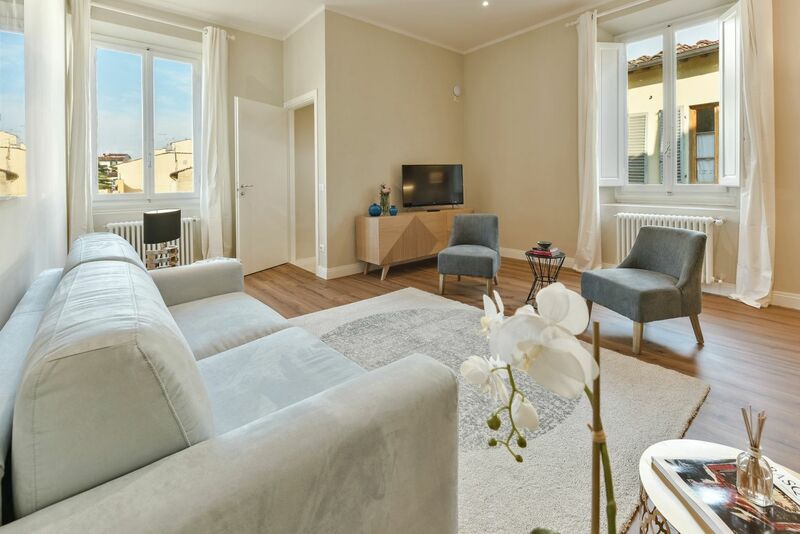 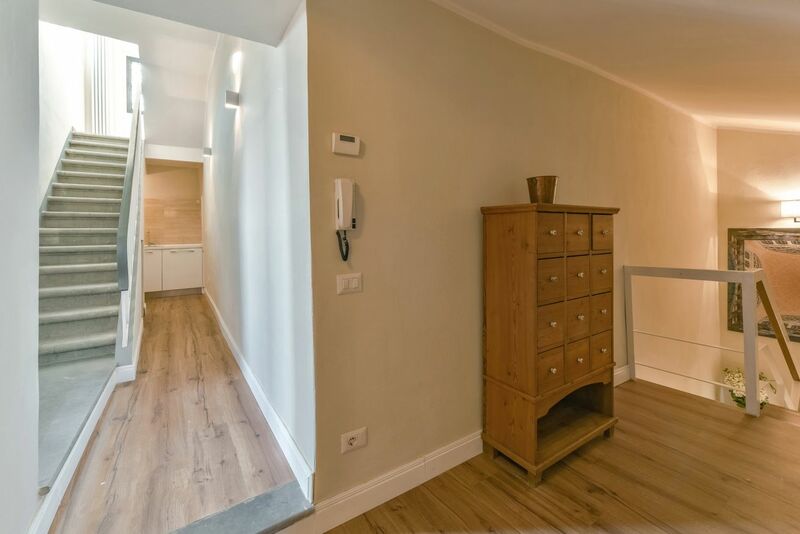 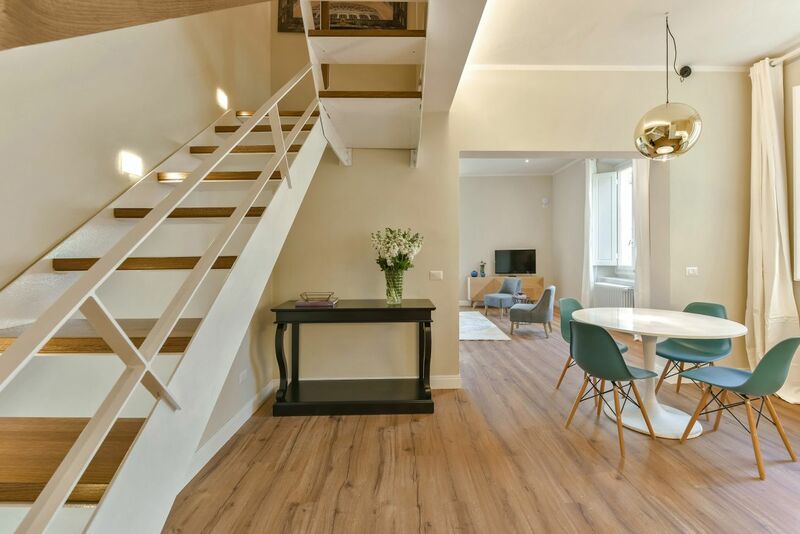 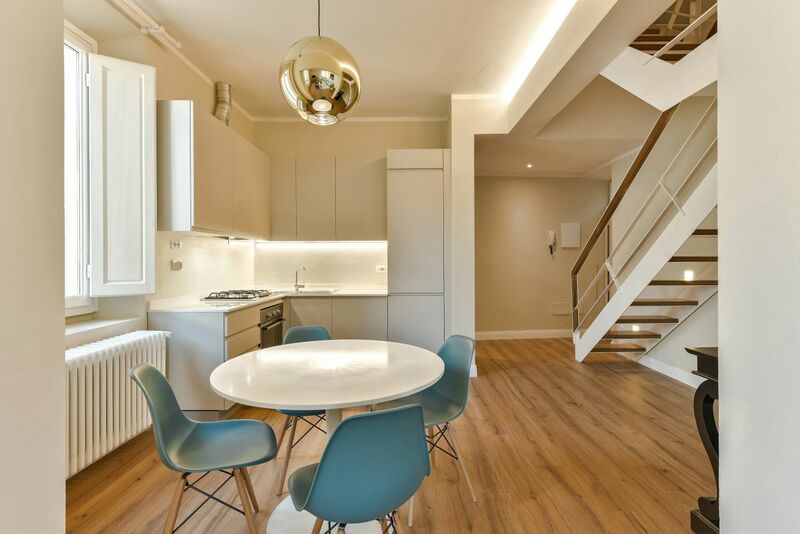 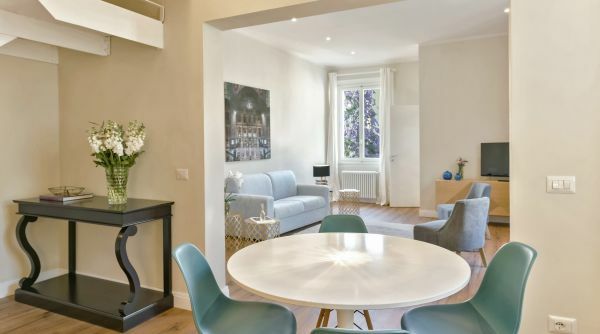 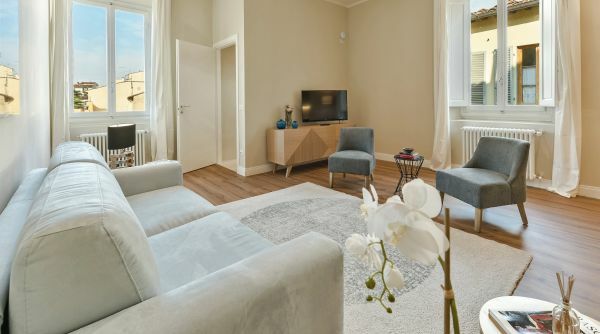 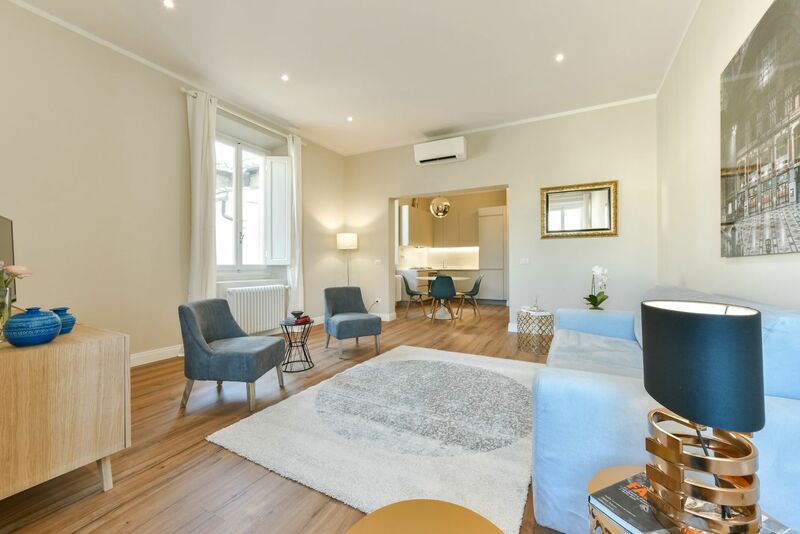 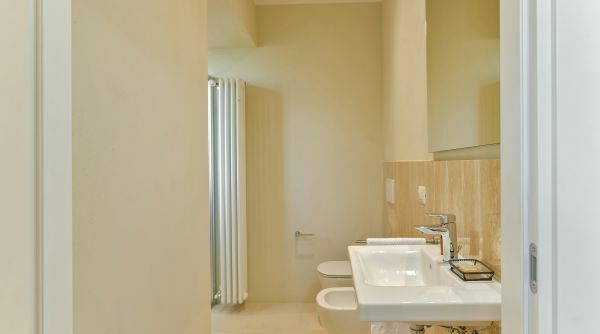 This beautiful completely renovated 2-bedroom, 3-bathroom apartment is located in the lively and colorful neighborhood of Sant’Ambrogio. 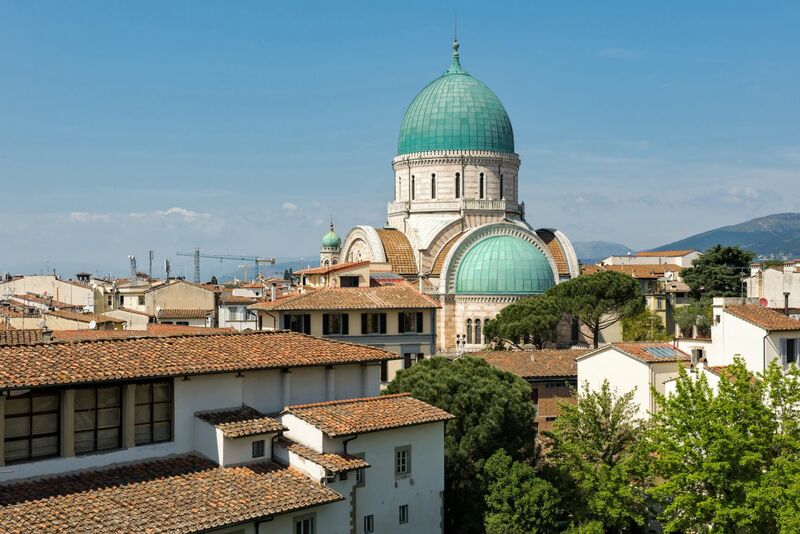 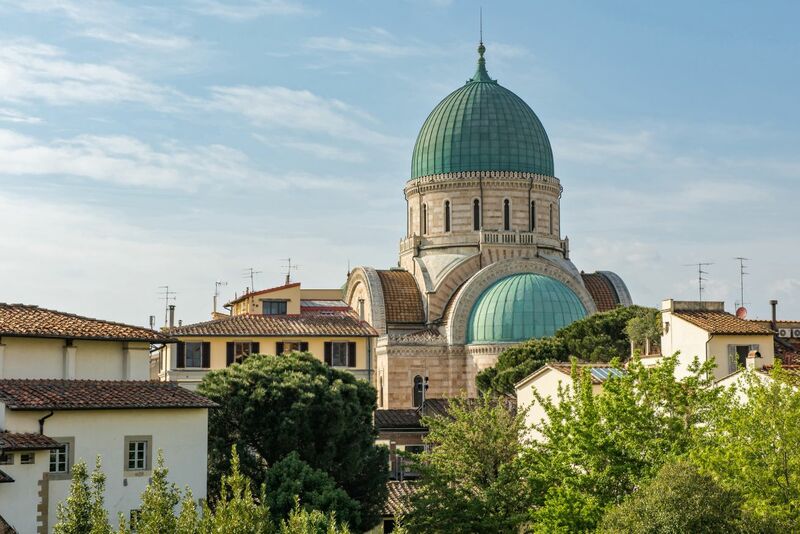 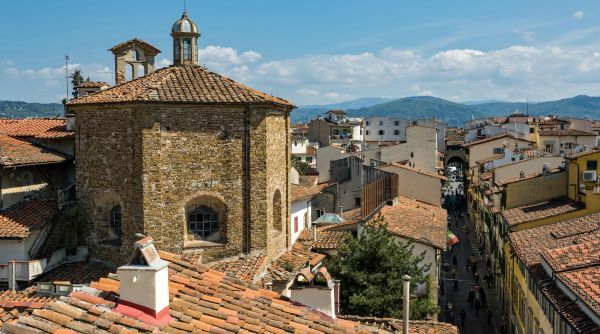 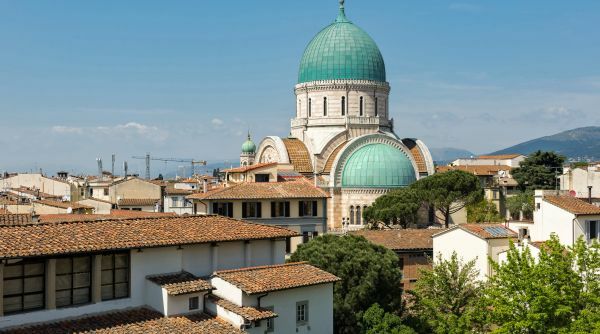 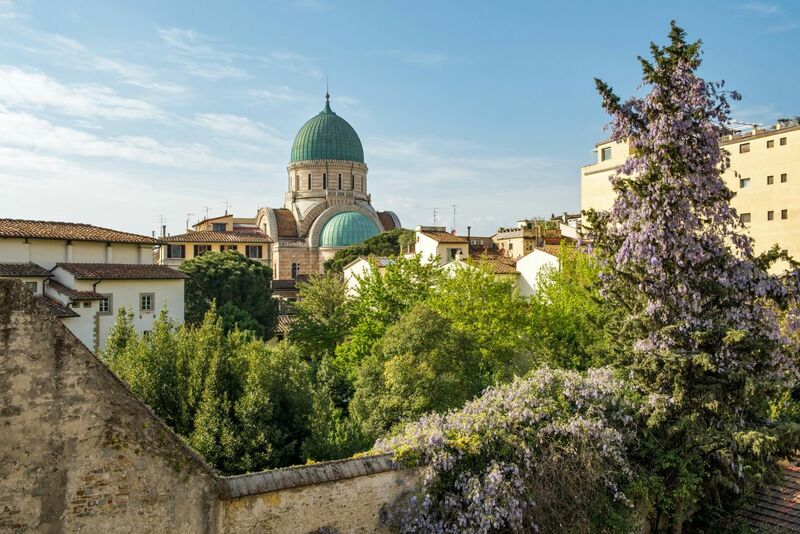 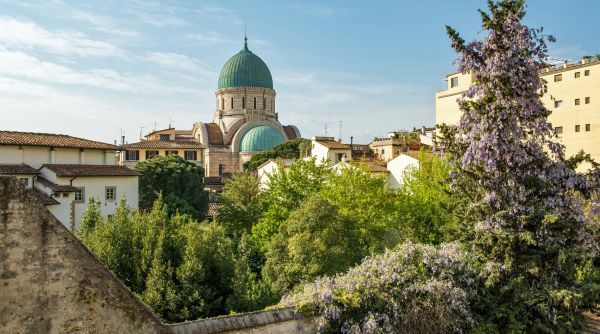 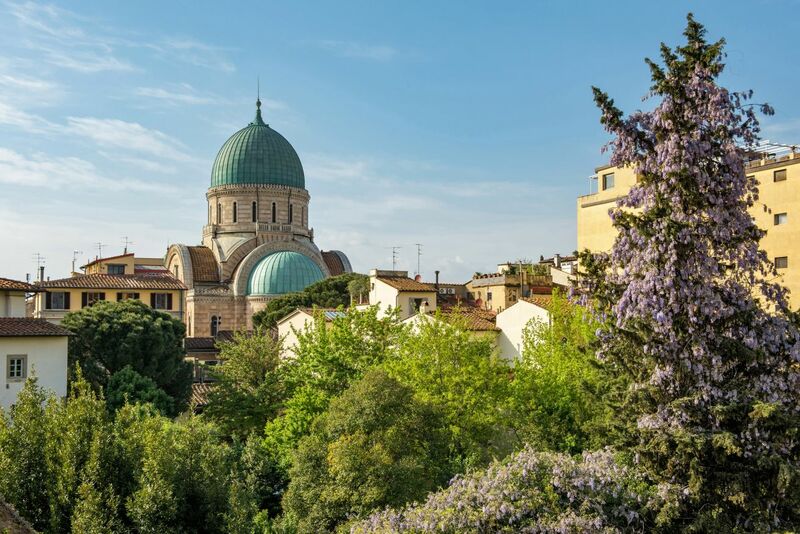 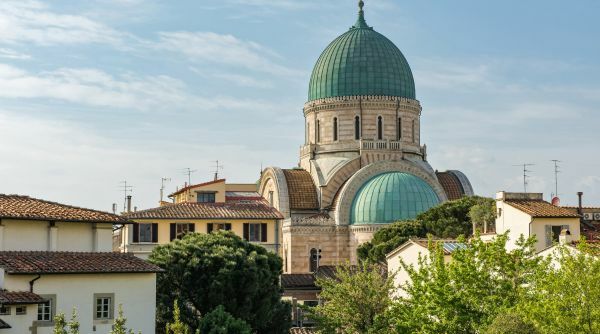 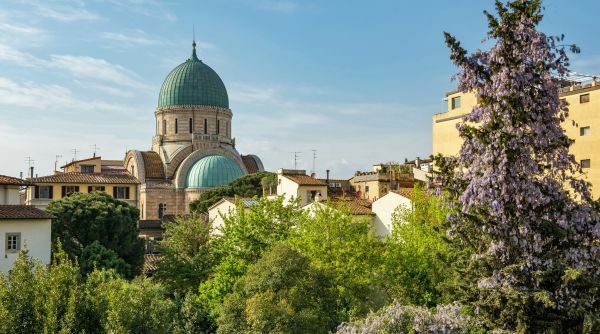 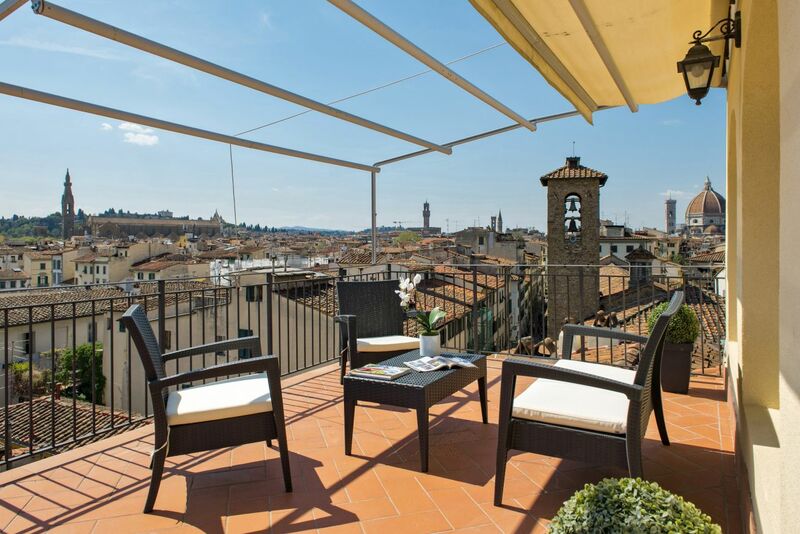 Here you are very close to all main tourists spots, and are surrounded by local artisan shops, traditional trattorias and very close by you have the famous Mercato di Sant’Ambrogio – a favorite of both tourists and locals! 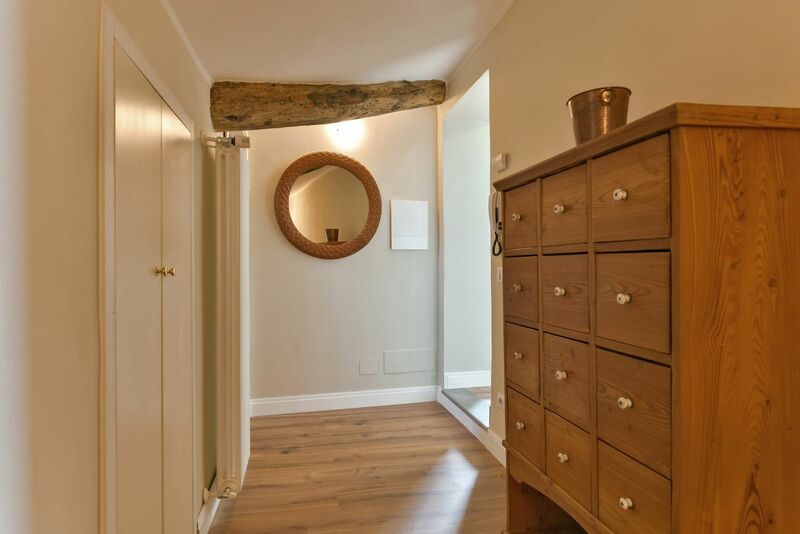 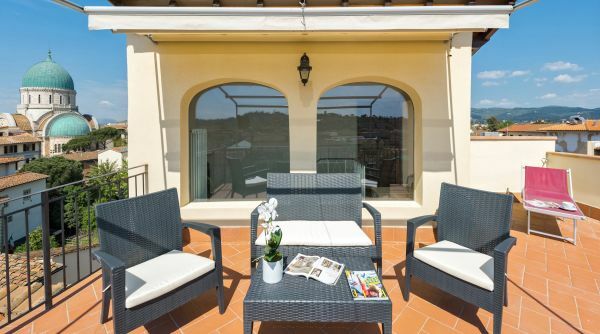 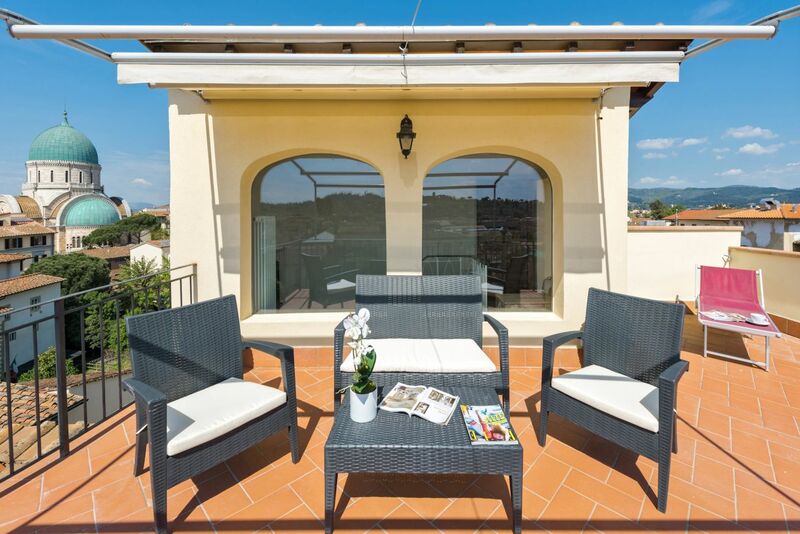 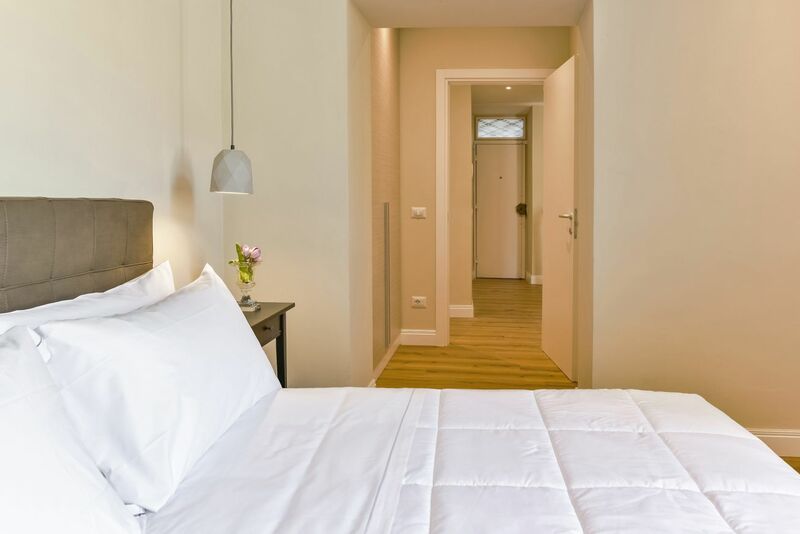 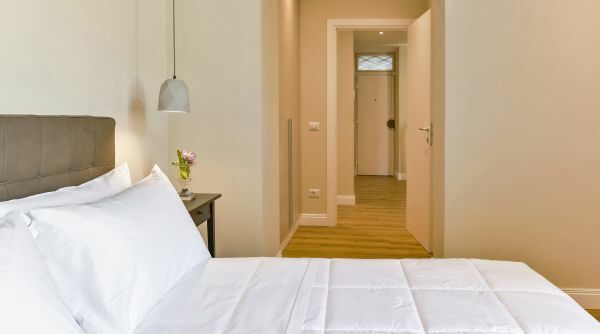 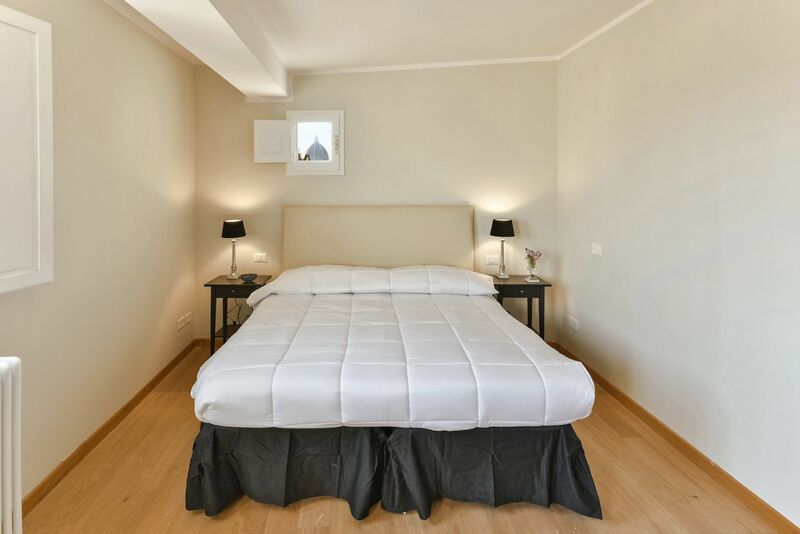 The entire property is recently renovated in a contemporary manner, with care and attention to the most minimal details to guarantee maximum comfort. 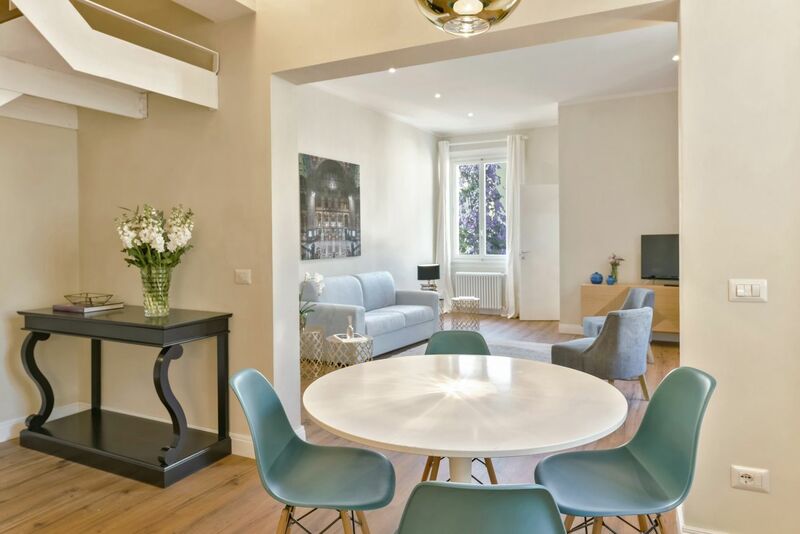 The atmosphere is relaxing due to the carefully chosen color scheme and the furnishings that match the overall style of the property. 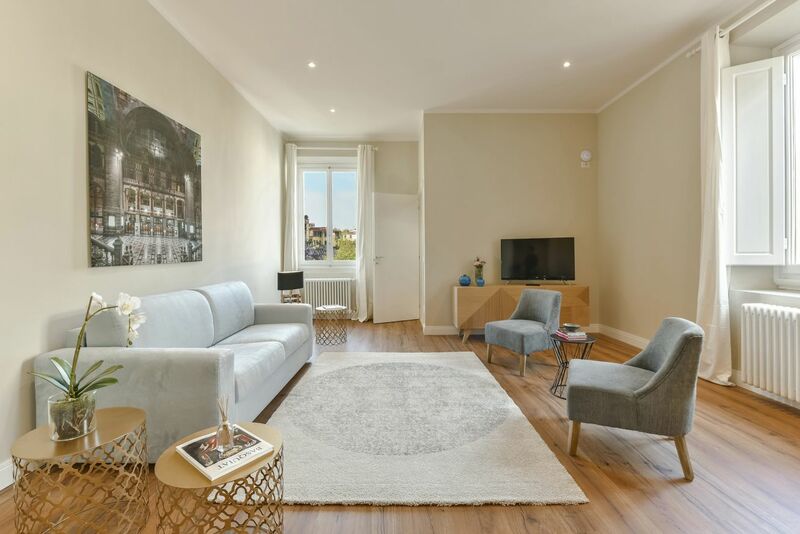 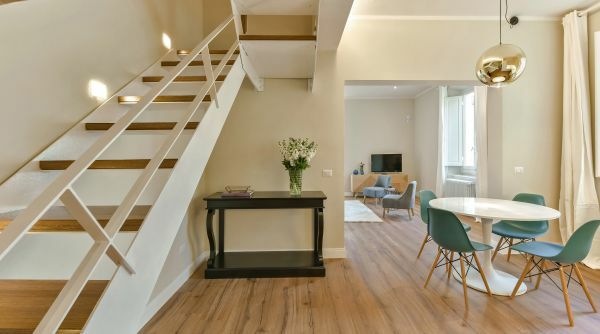 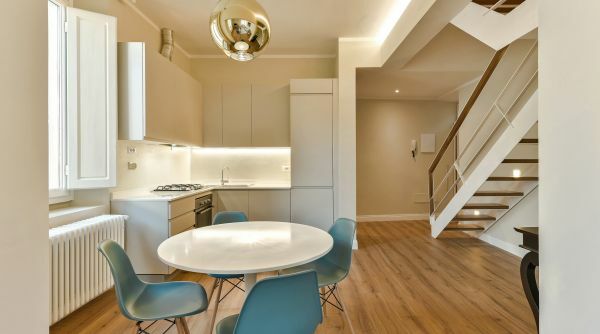 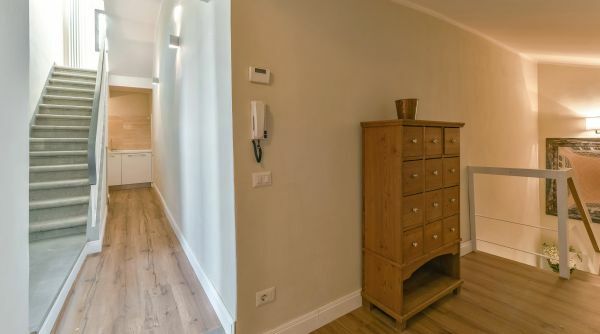 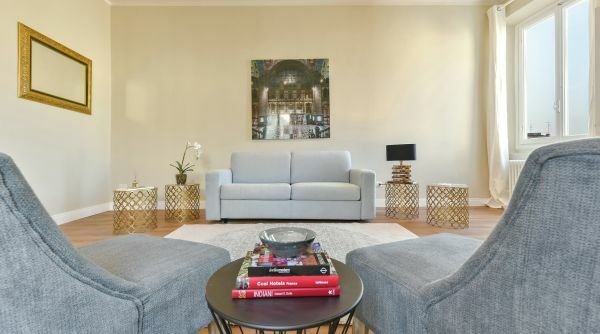 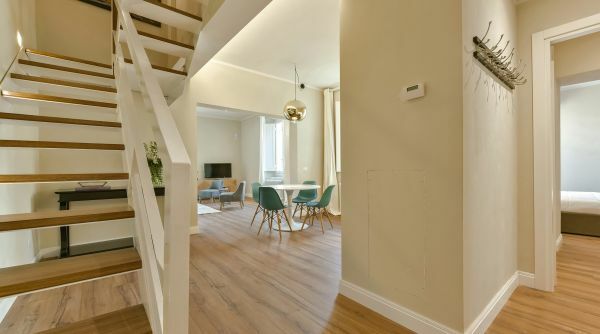 The entire apartment is very bright and spacious, with parquet floors and AC throughout. 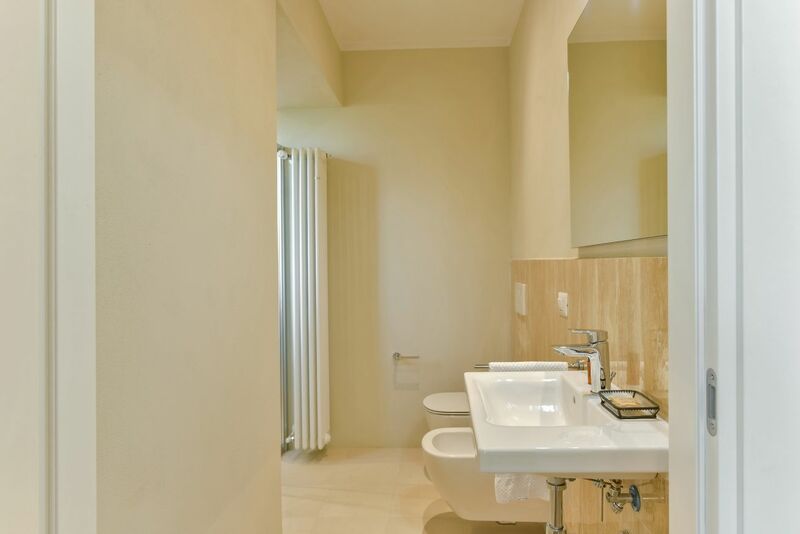 On the main level you will find the master bedroom and bathroom, and the kitchen and living room space (including a bathroom). 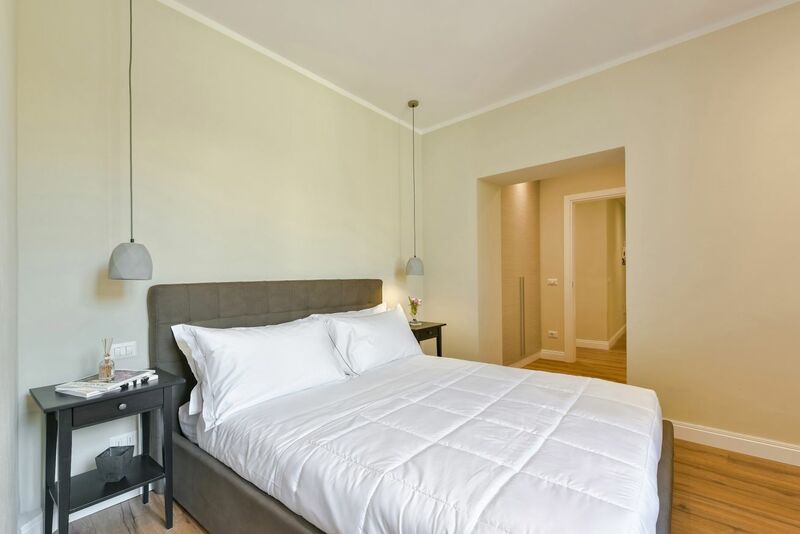 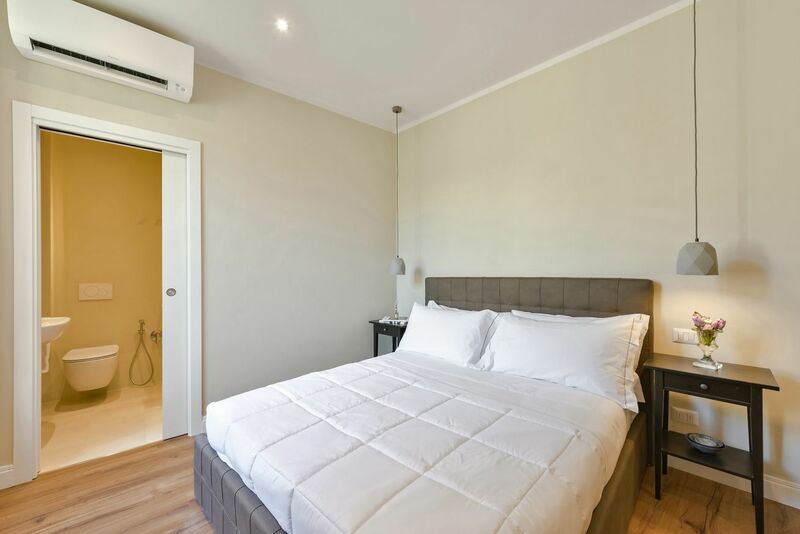 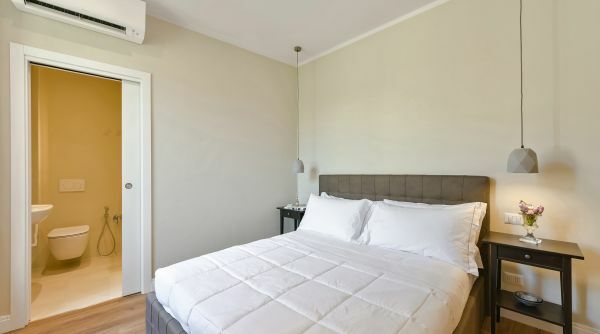 The master bedroom is very spacious and has a comfortable double bed and a modern, freshly renovated en suite bathroom. 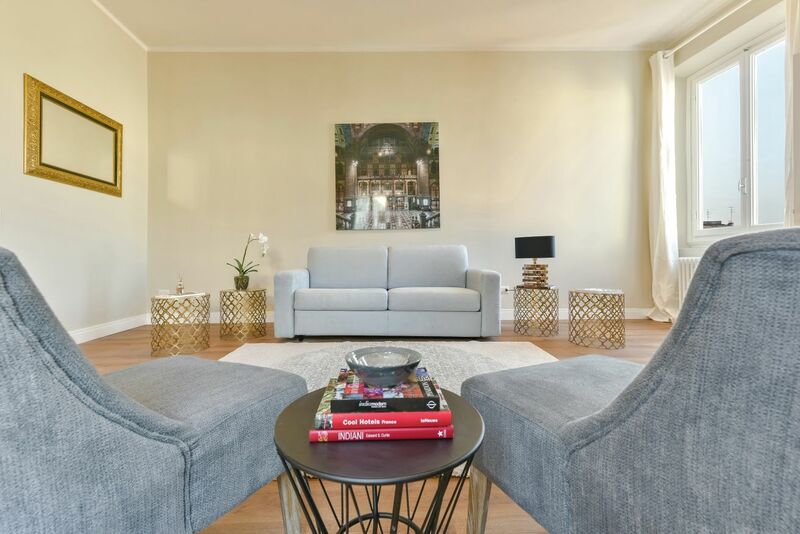 The living room and kitchen are combined into one large open space, creating an ideal location for a large families and groups of friends to relax and enjoy time together. 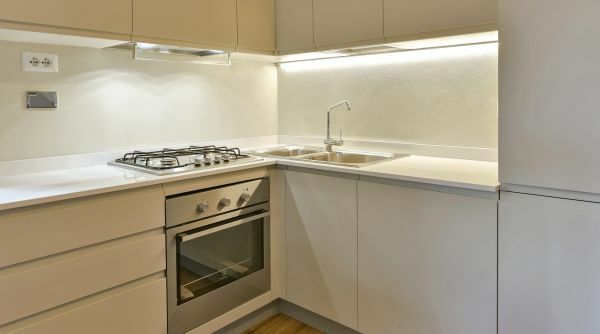 The kitchen is very spacious, fully equipped and functional, with a dining room table for 4. 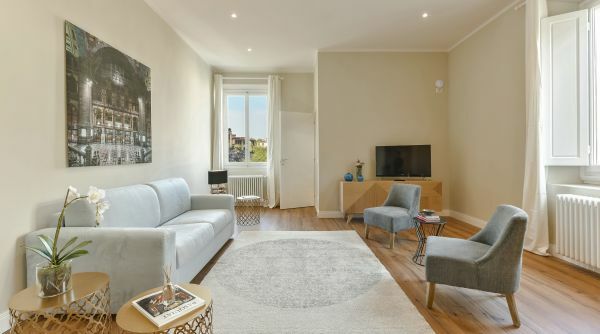 The living room is beautifully set up and very bright, with a double sofa bed, armchairs and a TV. 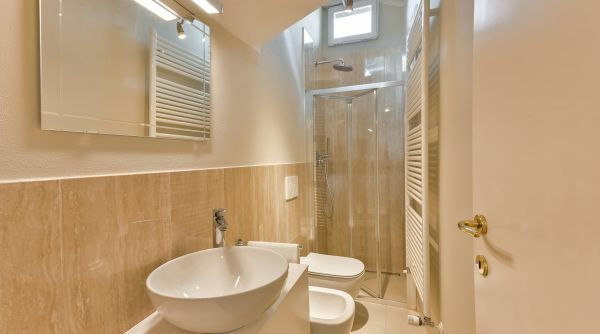 There is also a bathroom attached to the living space, which can be useful. 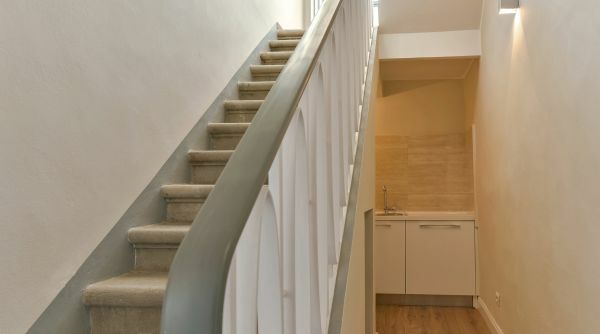 The rest of the apartment is located up the stairs, which begin right at the front door. 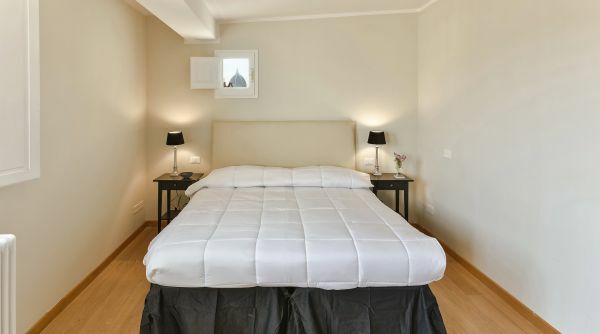 Upstairs there is a bedroom with 2 single beds, which can be set up as a double bed as well. 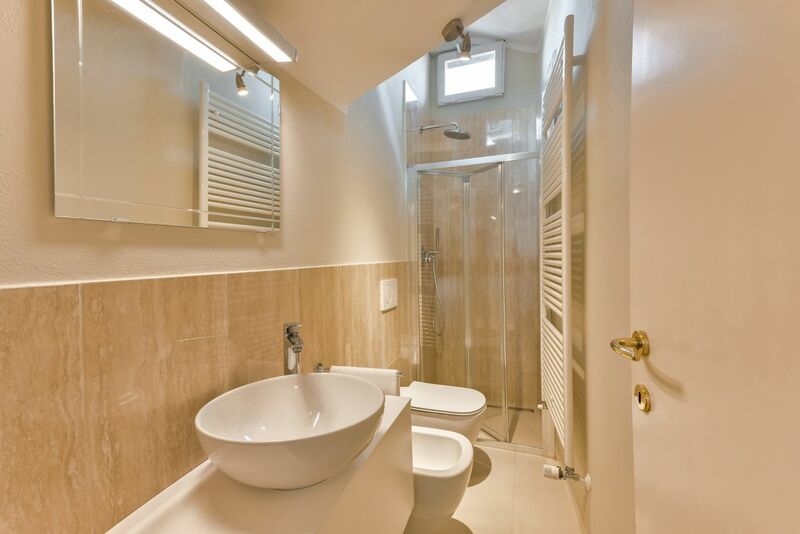 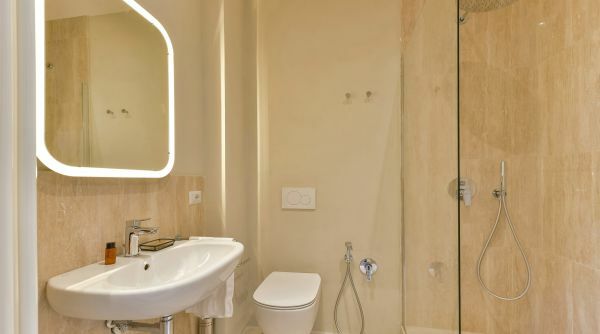 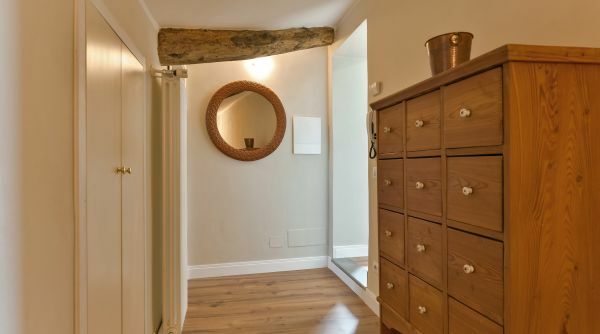 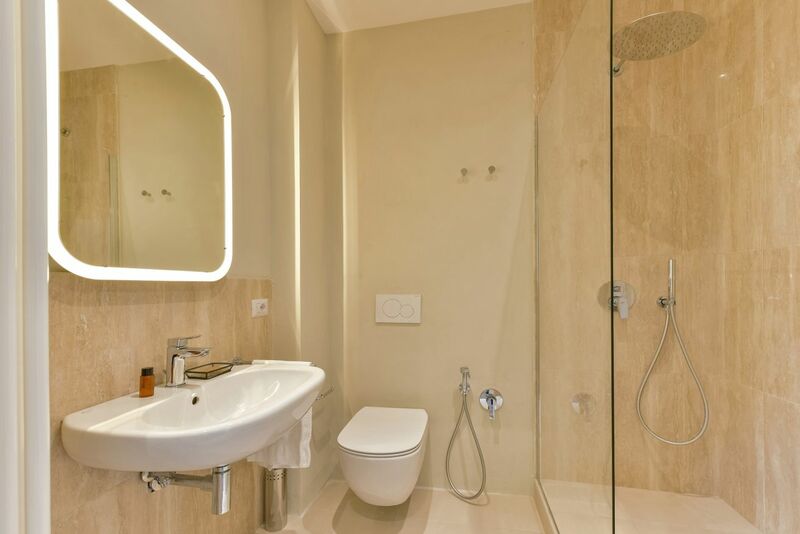 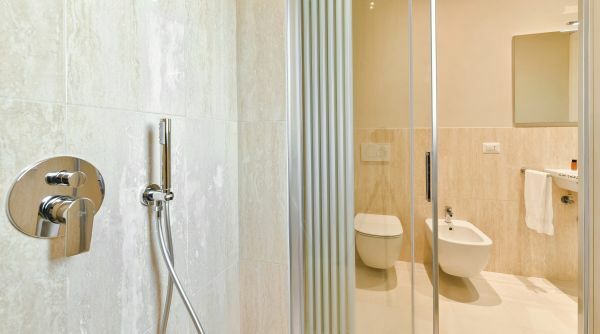 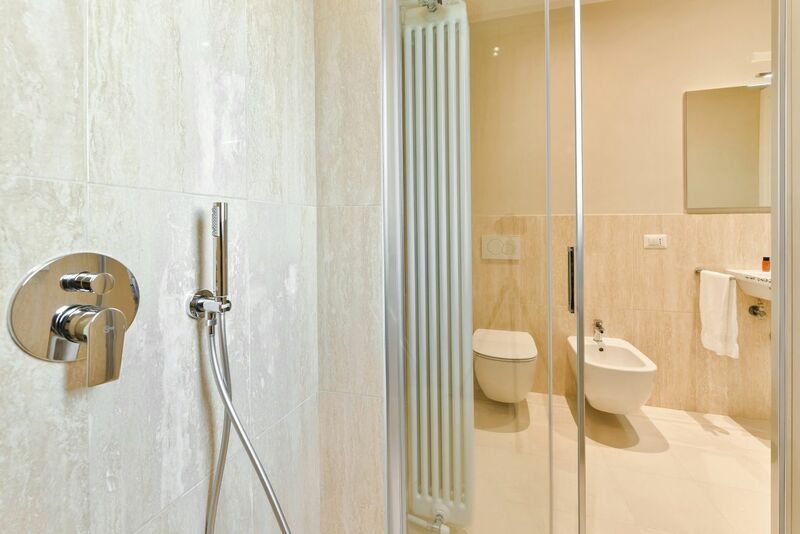 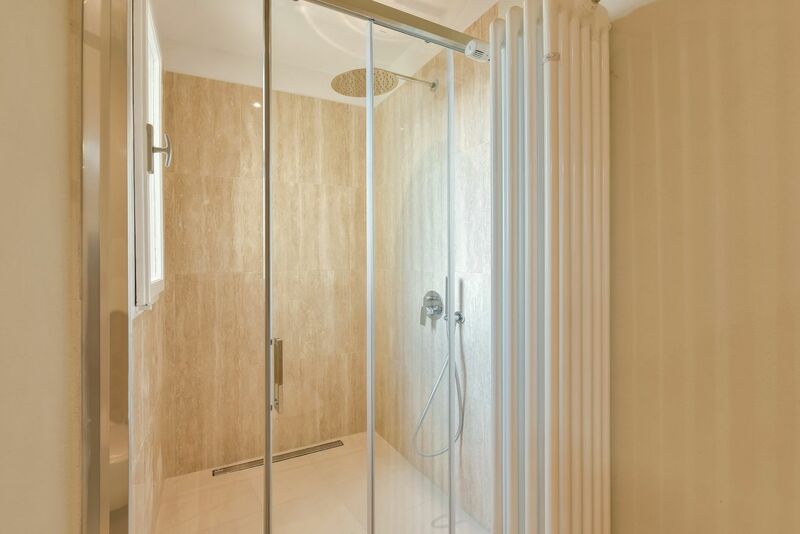 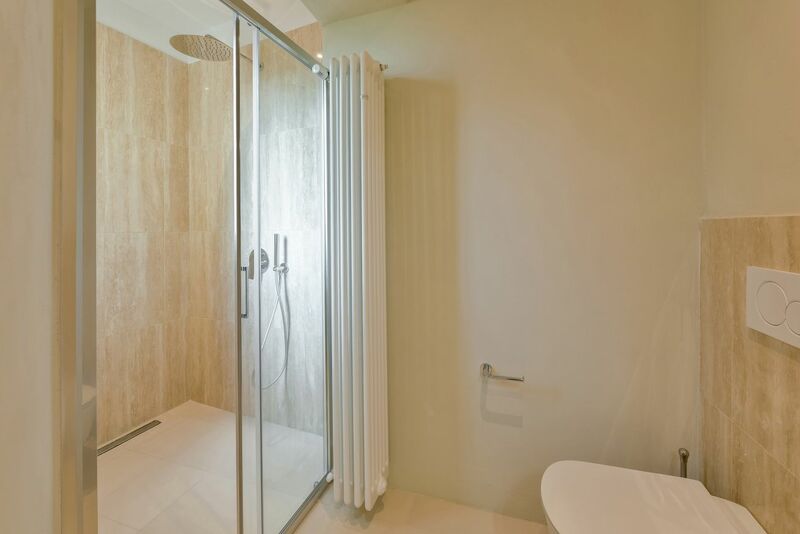 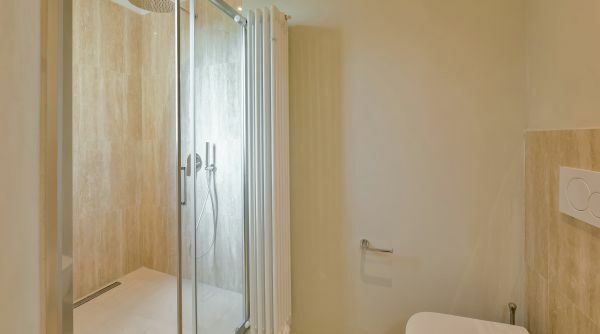 Next to it is a fully renovated bathroom with a fresh, clean look and a glass shower. 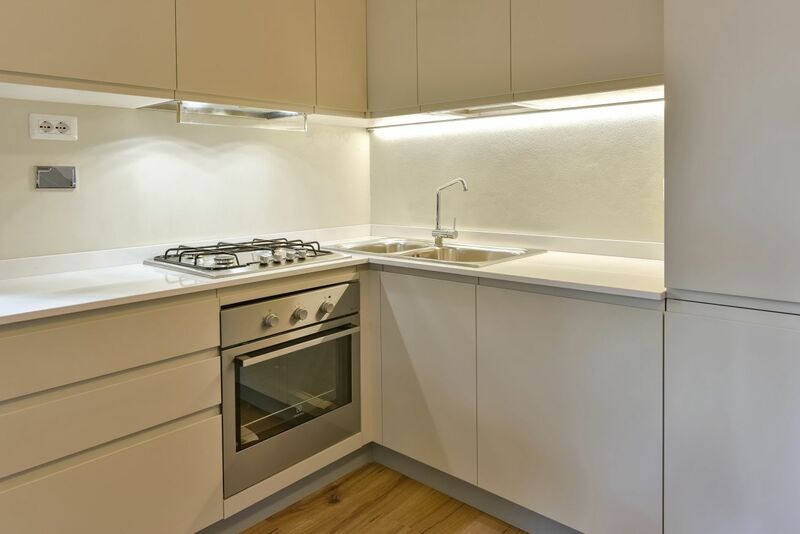 There is also a small kitchenette which can be very useful when using the terrace. 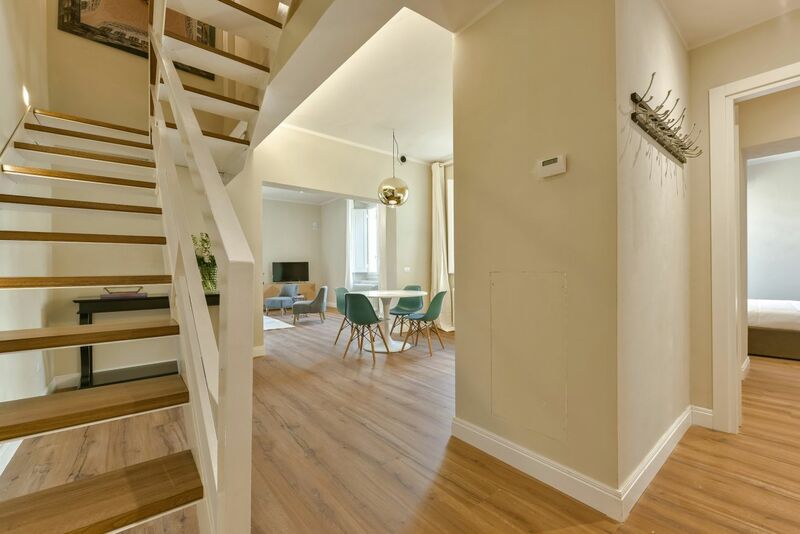 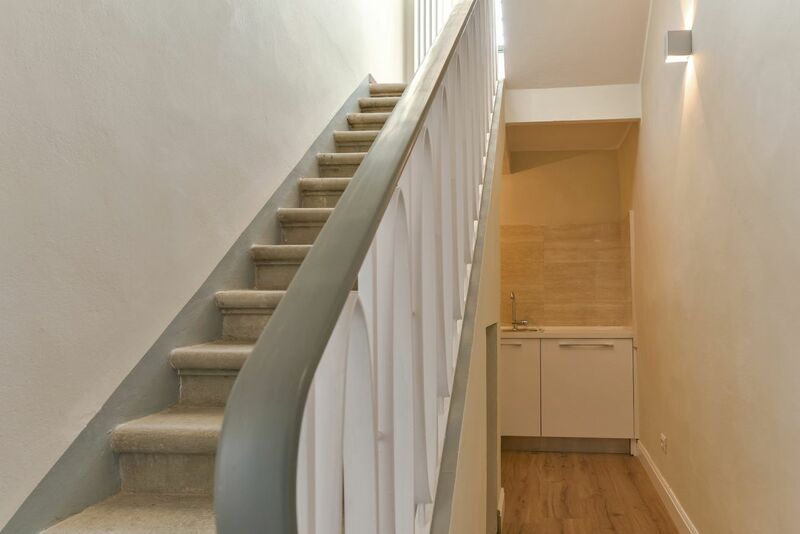 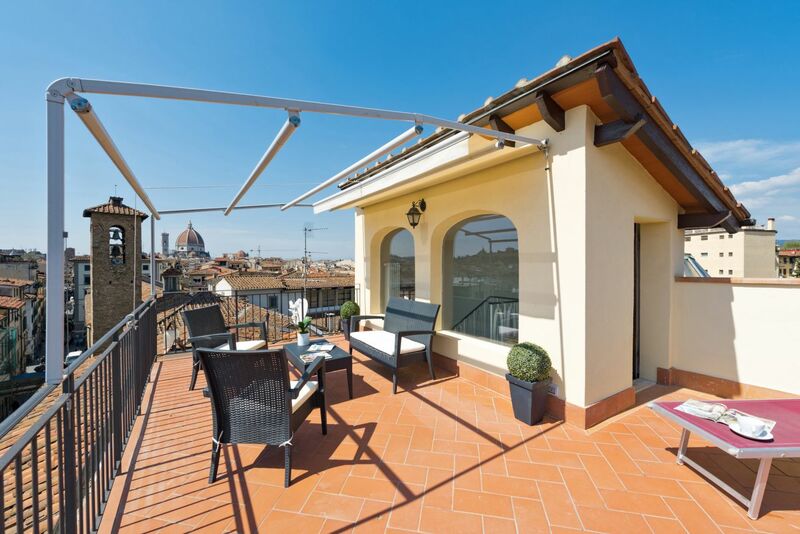 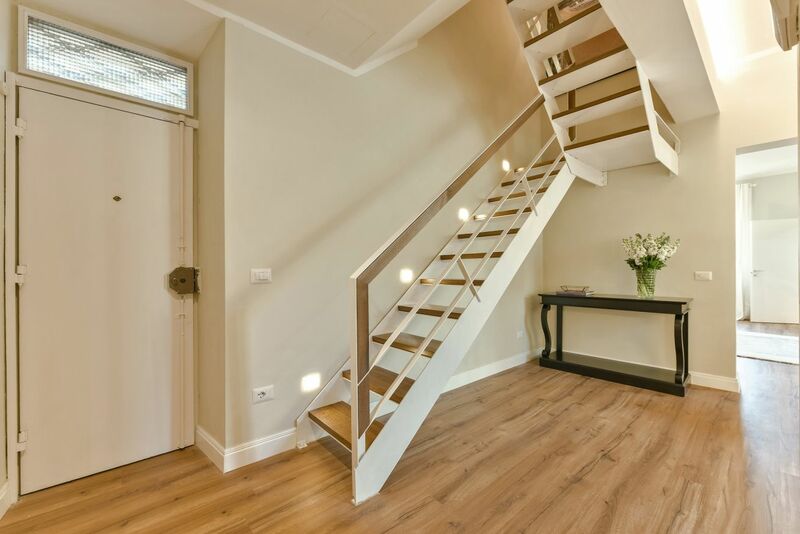 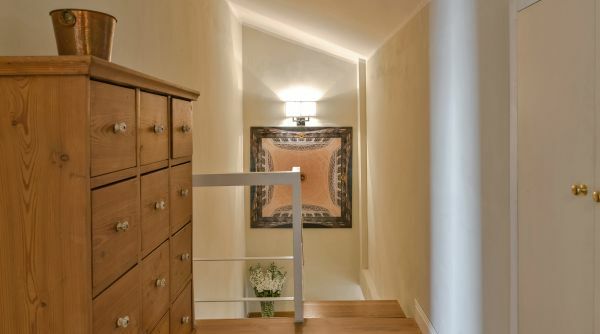 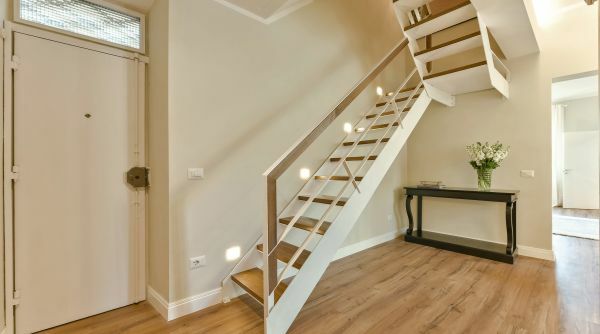 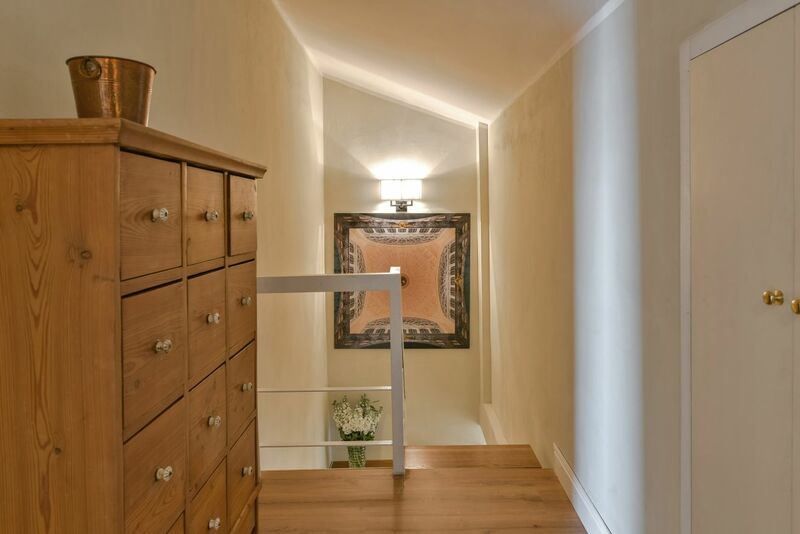 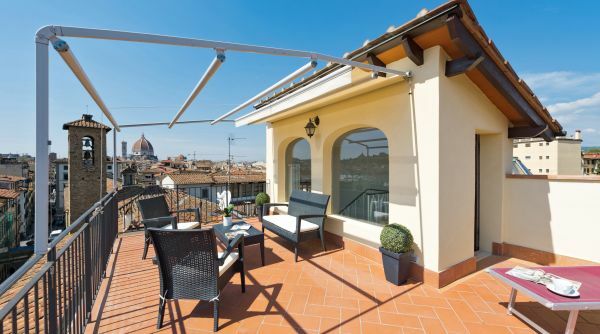 Up another flight of stairs from this level, you will find the most amazing feature of this apartment – the incredible 360° panoramic view of all of Florence. 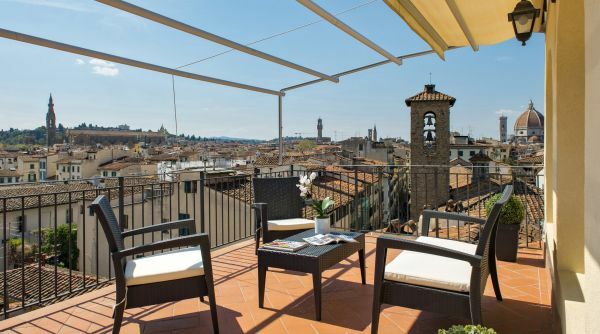 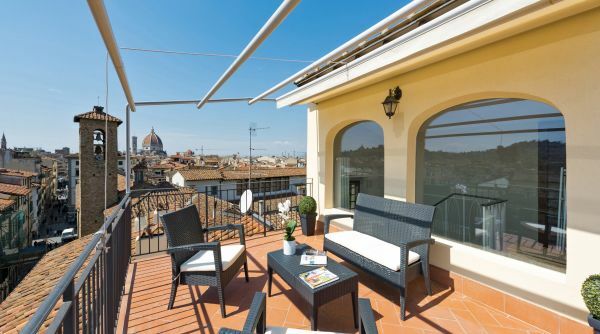 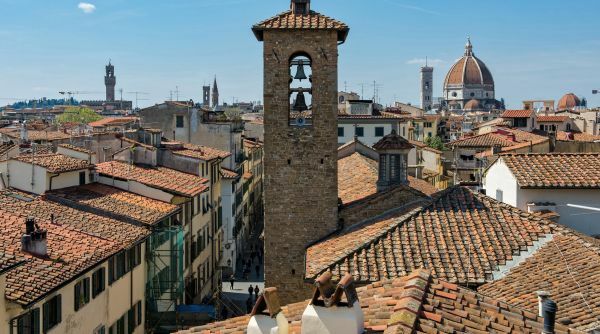 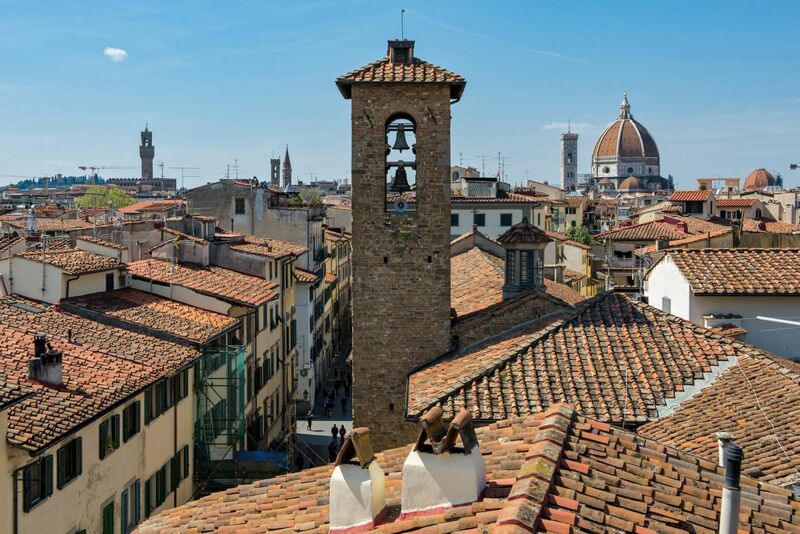 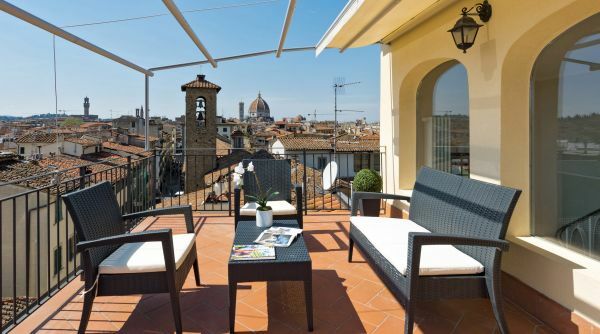 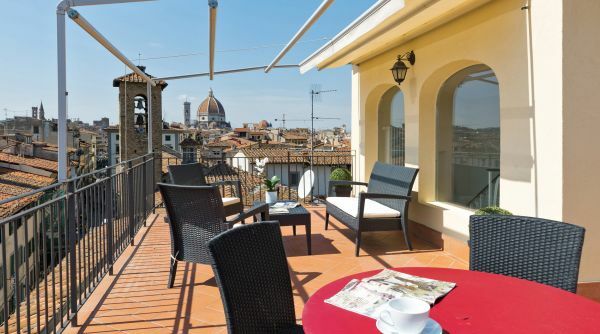 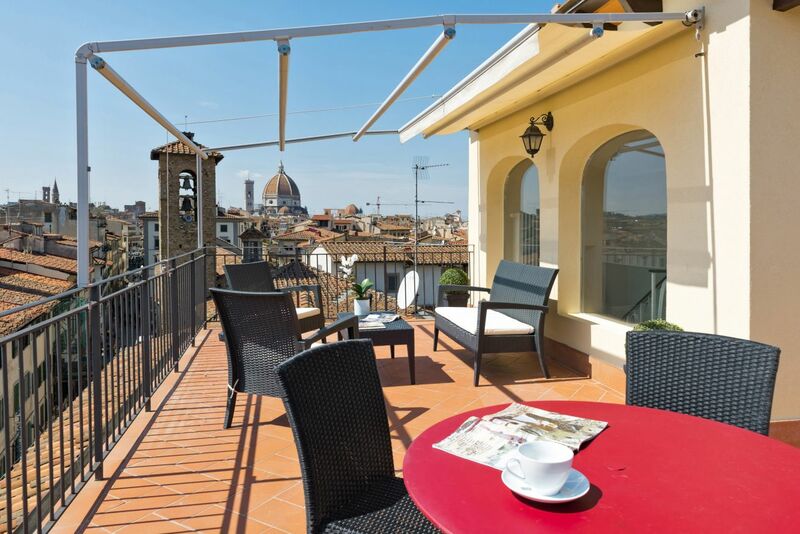 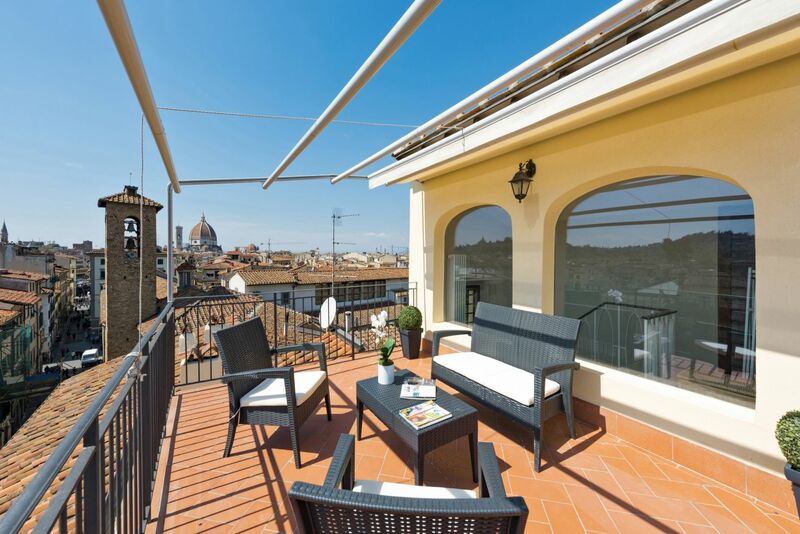 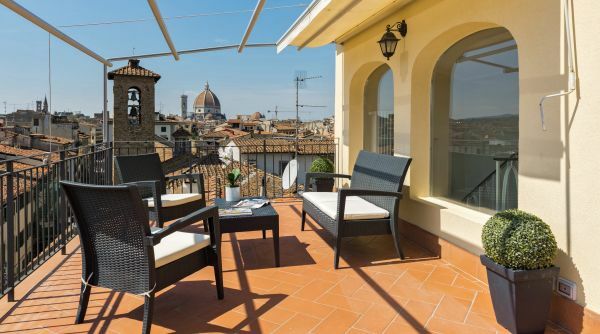 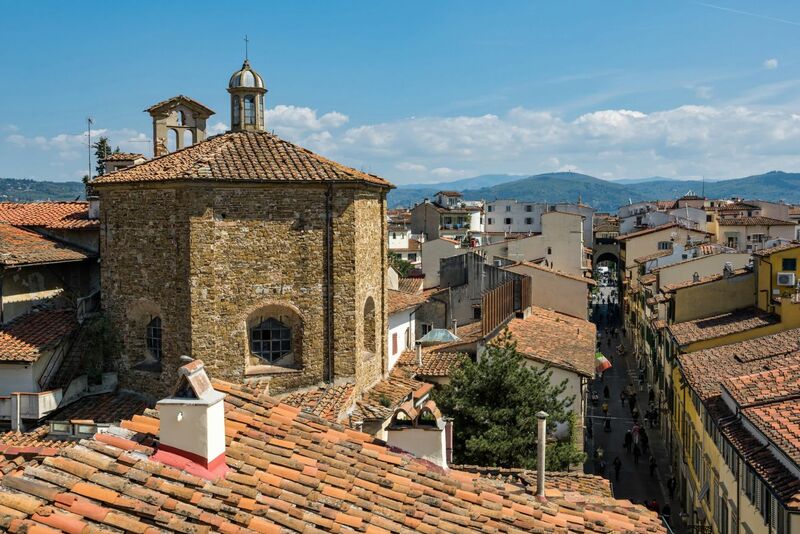 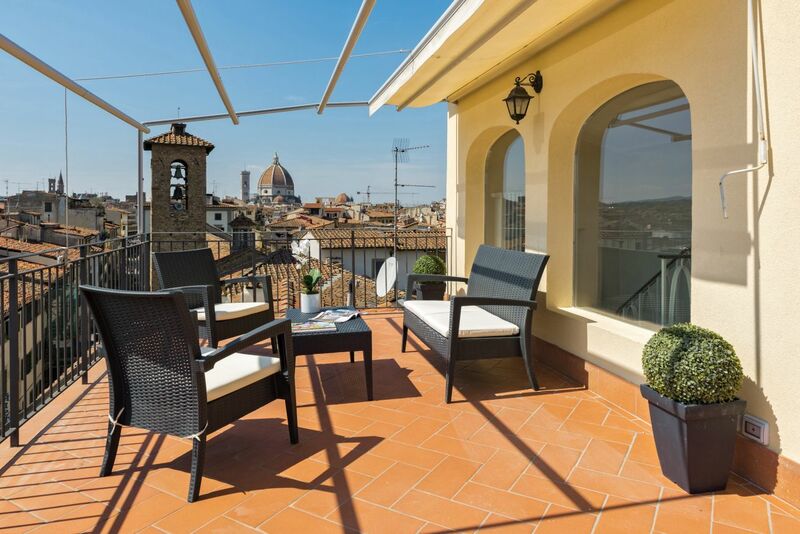 From here you can enjoy the incredible view of the typical Florentine landscape and its landmarks, while having an aperitivo on the table and chairs set up for the space. 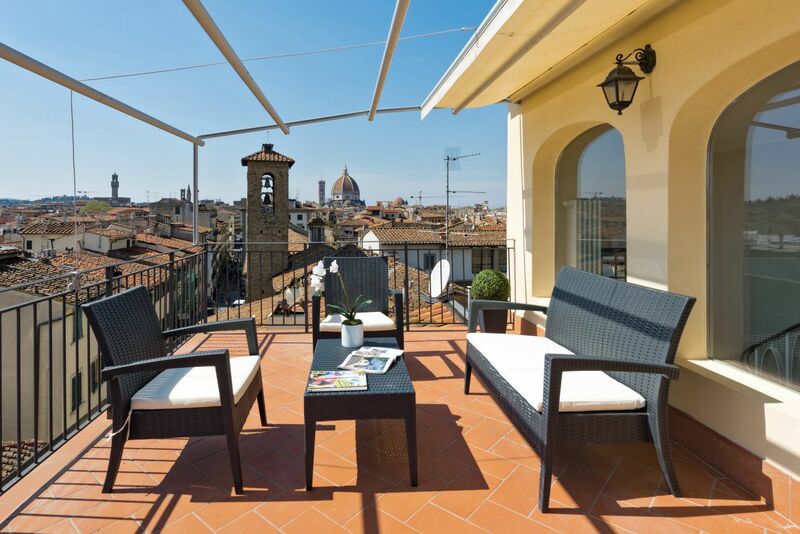 This view is truly a unique luxury that will create a once in a lifetime memory!